I feel proud to be able to tell you that my employer, Naropa University, joins other college and university leaders, mayors, governors, investors and businesses in declaring that regardless of current decisions made by the Republican president, we will continue to support climate action to meet the Paris Agreement. This action thereby continues alliances with other countries, businesses, and systemic thinkers around the globe. More basically, it is a step that helps ensure that large mammalian life on this planet (such as humans) can continue. This is the only smart move. 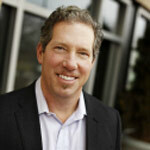 Companies like eBay, Netflix and Microsoft are in. And you can add your company’s name to this pledge as well – link below. “President Donald Trump faces some unlikely opposition to the idea of pulling the U.S. out of the 2015 Paris climate accord: Exxon Mobil Corp. and ConocoPhillips, two of the world’s biggest oil producers. Both companies reiterated their support Wednesday for the global agreement to cut greenhouse gas pollution amid reports that Trump planned to ditch a pact he says hurts the U.S. economy. Their argument: The U.S. is better off with a seat at the table so it can influence global efforts to curb emissions that are largely produced by the fossil fuels they profit from. …ConocoPhillips, the world’s largest independent oil and gas producer, also expressed support for the climate agreement on Wednesday. “It gives the U.S. the ability to participate in future climate discussions to safeguard its economic and environmental best interests,” spokesman Daren Beaudo said in an email. Every one of you, please stand up and act with us – the majority. Here is the formal statement, with signatories visible below: We Are Still In Note that you can add your company’s name to this pledge as well – see link at the end. It is imperative that the world know that in the U.S., the actors that will provide the leadership necessary to meet our Paris commitment are found in city halls, state capitals, colleges and universities, investors and businesses. Together, we will remain actively engaged with the international community as part of the global effort to hold warming to well below 2℃ and to accelerate the transition to a clean energy economy that will benefit our security, prosperity, and health. ON BEHALF OF THE EARTH AND HER CHILDREN OF ALL SPECIES, THANK YOU ALL. Thank you for being responsible adults who take care of our home, despite the short-term difficulties we face from the current White House now. In the wise words of King Solomon, this too shall pass. According to the New York Times, the withdrawal process from the Paris Accord could take four years to complete, by which time the regime will have been changed. So let’s just keep steering our collective boat of systemic wisdom through these jerky rapids until the river flows freely and easily once more. The terrific political cartoons in this post are by Dan Wasserman, Monte Wolverton, and Christian Bloom (from Norway). This photo, which I got from La Mina Circle in Los Angeles, reveals a tragic moment in the politics of the earth. 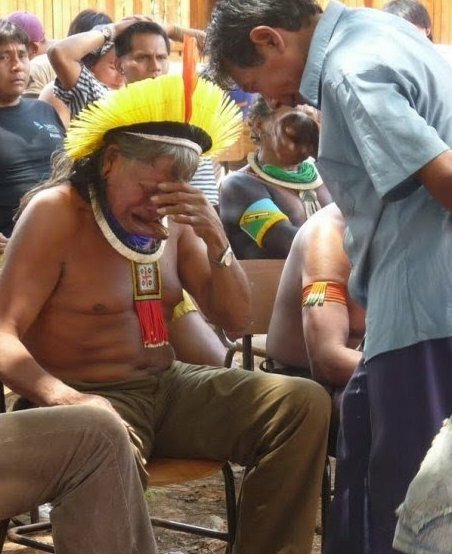 Chief Raoni of the Kayapó people broke down crying when he learned that the Brazilian president, Dilma Rousseff. approved construction to begin on the Belo Monte hydroelectric plant & dam project on Xingu indigenous lands. If it does go through as planned, the Belo Monte dam will inundate nearly a million acres of rainforest & indigenous lands. The new water body will be bigger than the Panama Canal. 40,000 local and indigenous people will be forced off their native lands, all that habitat vitally useful to countless local and migratory species destroyed, and millions of unknown species of animals and plants murdered. The goal to produce electricity is a good one, but this way of attaining it is not. It brings unconscionably high environmental and social costs, and could just as easily be met through greater investments in energy-efficient, place-appropriate methods of generation. Let’s just call the Belo Monte project what it is: a horrific genocidal project for the short-term financial gain of a few. This project means a death sentence for the people of the Great Bend of the Xingu river, as indigenous peoples’ culture and survival are inextricably tied to the land. It also means irreversible environmental destruction. Large dam projects like this are just the sort that North Americans endorsed for so many years as a symbol of successful “progress” but which we are now are coming to regret, as we realize their contribution to unintended unpleasant environmental consequences. For example, such dams play a key role in the tragic loss of salmon populations, who need an adequate flow of very cold water in contiguous waterways to survive. This means less delicious wild salmon to eat and serious economic trouble for all the folks making a living from the fishing industry, as well as an unimaginable loss to the native peoples for whom salmon is an extremely important totem of their identity. Stop the Belo Monte Monster Dam!